The break-neck speed rally of Bitcoin has left investors wondering where Bitcoin would finally stabilize. 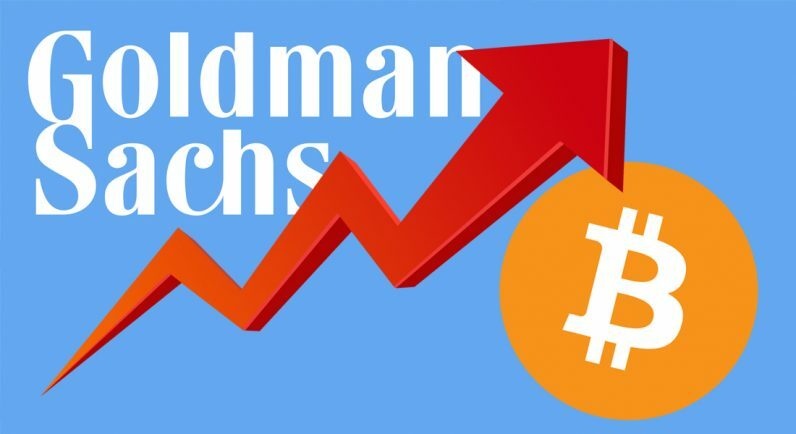 Goldman Sachs believes that $8,000 would be the consolidation level for the current rally. Bitcoin’s price may have smashed through the $5,000, $6,000 and $7,000 levels over the past few weeks, but technical analysts expect it to go higher. The level at which consolidation is expected to occur is $8,000, according to Goldman Sachs. The market has shown evidence of an impulsive rally since breaking above $6,044. Next in focus $7,941. Might consolidate there before continuing higher. While Goldman Sachs has cautioned against traders expecting a rapid surge past $8,000, they expect it to go higher after some consolidation. Given that this is just a third of five waves up, the implications are that Bitcoin has potential to run further over time. The current target price of $8,000 is double the price of $4,000 predicted by Jafari just four months ago. Given multiple factors including government regulation, hard forks, and new links to mainstream finance all tend to influence the price, looking at price charts in isolation is not sufficient to make a reliable forecast. Multiple analysts, including Ronnie Moas, have revised their price predictions upward for Bitcoin.